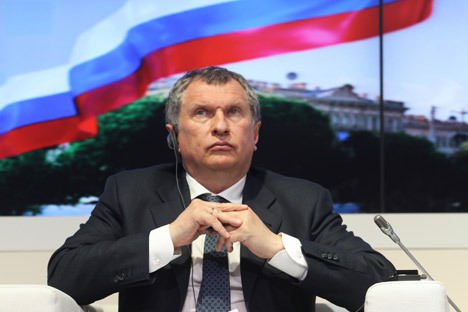 Rosneft CEO Igor Sechin denied rumors that the company played a role in the ruble's collapse. "I want to say a few words on the rumors that are circulating on Rosneft's participation in the collapse of Russia's currency market: these rumors are a provocation," he told journalists on Tuesday. Beginning Monday morning, Dec. 15, the ruble began to fall sharply against foreign currencies. At the moment of writing, the ruble has fallen by 26 percent against the dollar and 27 percent against the euro.